How long have you been living in the UK, how is it different to South Africa? I have been living in the UK for 9 years since relocating from South Africa. What struck me when I first worshiped in a church here in England was how God has brought so many nations together to be in one place. I love the heart of the people here and the constant buzz and openness, people connecting everywhere from walking in the park to having deep conversations at a supermarket check-out. I personally don’t think I know anyone who isn’t somewhere involved in community outreach and caring. That same thought came up when we celebrated Everyday Nations Sunday last year with 42 national flags and a vast variety of foods from all over the world, and yet we find unity in the love of Jesus. What made you come to work for the church? Coming from a corporate background where I had to travel extensively for my job for twenty-three years, I decided to ‘retire’ in 2016 to focus on volunteering and more time with my family. Sean Hammond mentioned the role for Outreach Coordinator was advertised by the church and I saw it as a great opportunity to expand on my involvement in the church’s social action ministry. I love this job God so generously gave me but felt unqualified because I came from such a different background. God has since shown me how He qualifies us for where He calls us to be. Everything we do starts with prayer and it is Jesus who puts the unqualified person right where he wants us to be for His honour and Glory. What sort of things are you involved in within the church? 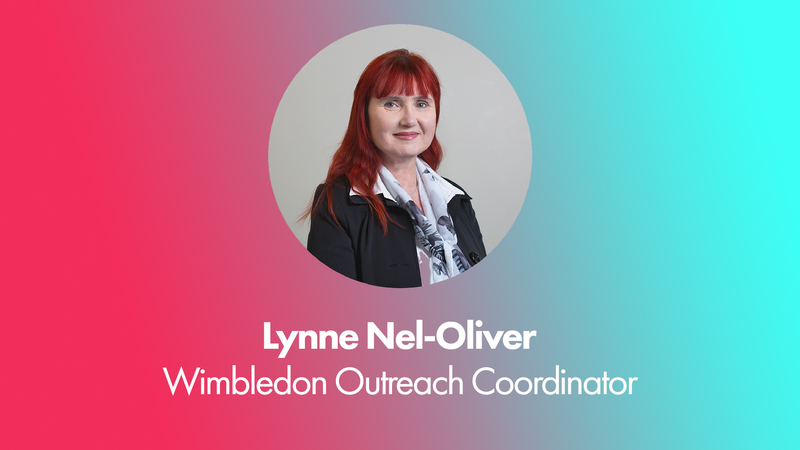 In my role as outreach coordinator I focus on strengthening partnerships in the community with other organisations that is experienced and already making a difference. We can empower our whole community for the benefit of everyone by teaming up with other charities and agencies. Where there is need for resources or volunteers we can help fill the gaps. I’m not the kind of person who puts limits on myself or others. I feel we have to regard everyone with the same love and respect regardless of background or social standing. I love participating where I can in our community but what I enjoy most of all is the one-to-one conversations with people that helps me understand more about them and what their heart is for. Why are you involved in this, how has God shaped your heart for it? God has overwhelmed me with blessings in my life, during difficult times these blessings presented themselves as people caring and stretching out a helping hand to our family. We never felt alone and they constantly supported us in both prayer and practical support. We will always value being part of a community that is so loving. This has been an important part of how God has shaped my heart for social action. I recently discovered my top two love languages are quality time and acts of service, which reflect how I want to give back to the community. There’s gratification in people taking one step forward at a time in hope and trust that Jesus has a plan for their lives. There’s a process of personal growth that we experienced but also see in others during times of adversity which makes you want to be more involved and see it happen time and time again. I see both prayers, and prayers answered, which is a privilege beyond description. I love inviting people to join me on this journey. My vision is for everyone to experience how God can change their lives, and for them to be able to share that with the next person, and so on. I can testify what the Holy Spirit has done in our lives and I want to give all the glory and honour to God for the work he has done. May our God bless you and keep you.